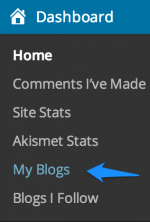 How can a change the name of my blog? The blog I need help with is alquilencomovos.wordpress.com. The topic ‘How can a change the name of my blog?’ is closed to new replies.